SOULFUL: The Soul world needs to worry because a new kid is here and she is threatening to take over. Sandra Nankoma just released her maiden album. Sandra Nankoma’s face might not adorn the big posters announcing the next big artiste, but her music is as a refreshing as the message it relays. 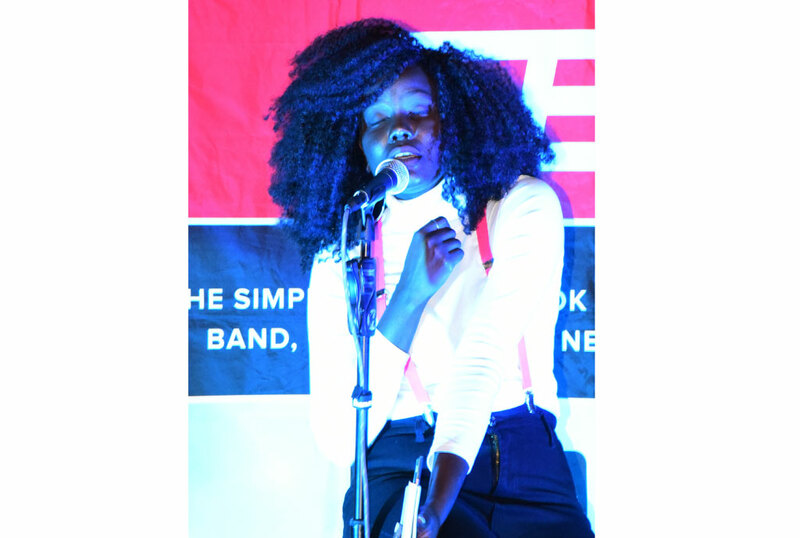 In her maiden album titled Ye’nze, you will want to indulge and partake of some realistic, somewhat punchy lyrical content. In 12 songs, you will savour between jazz and soul, two music genres that have inspired and defined Nankoma’s music, right from the age of six. On Sunday evening, 15 music lovers and critics were invited to a listening session of the album, where the artiste performed some of the songs off her album, conveyed through beautiful vocals. Her producer, Kaz Kasozi, shared the stage with her, doing his magic with the guitar. She kicked off with Come Over, a song from the heart, conveying memories from a past relationship. Nankoma, who formerly went by stage name Sandy Soul, deals with materialism in Mercedes, telling of the high-flying ladies that do not come cheap. Babylon is the ninth track off her album and it carries a message that resonates with the time. In it, the 30-year-old artiste decries the insecurity that has engulfed the country. She questions what the future holds in times where one individual has so much security as the citizenry continue losing lives. Part of her audience shared thoughts about the song. “I enjoyed Babylon. It has a catchy chorus that is easy to sing along to. Her music is natural. When she sings about love, it is not the usual lyrics of climbing the mountains or fetching the moon for a girl,” he explains. Kaddugala is her testimony, from experiences of being bullied from childhood because of the colour of her skin. “I have been called all sorts of names. In school, students would call me charcoal, Kaddugala and more. I am trying to deal with the brainwash of women who are light-skinned or bleached being better. Black is beautiful,” the artiste explains. You will appreciate her poetic side in two musical pieces that are included on the album. The poems and songs are loaded with messages worth chewing on as food-for-thought. “I like that Sandra is branding herself as the face of soul. She is talented and fills a void in the soul space,” Herman Kabubi, an artiste coordinator at Bayimba Cultural Foundation, says. This partly explains her former stage name, Sandy Soul. Music lover Petra Shaefer commends the artiste for the ability to fuse soul and jazz: “I have listened to Ye’nze a couple of times and I like the emotions it unearthsl; the sweet voice is fantastic. The album keeps you on your toes for the various messages,” Shaefer explains. Ye’nze is a result of a decade’s efforts. Before Nankoma and Kasozi worked on the album, Kasozi insisted that they talked, and in-depth. To him, it was important to understand her so that the music she did reflected her ideas and ideals. “We discussed a number of things; art, life, relationship and more. It took time for her to feel comfortable. At some point, the studio manager would wonder when we would get down to actual recording. An album is a big project and I would advise that an artiste does four songs and reflect on the feedback,” he explains. Putting together Ye’nze, cost quite a fortune. It was produced and recorded at Little Room Studio and mastered in Paris, France by David Felgeirolles. • Nankoma has a degree in Industrial Fine Art from Uganda Christian University, Mukono. She is an actress too and co-founded Afroman Spice, an all-female theatre company.